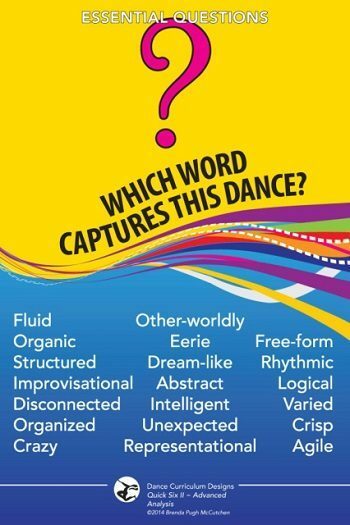 This advanced set of six essential questions posters focuses on the finer aspects that make a dance work. 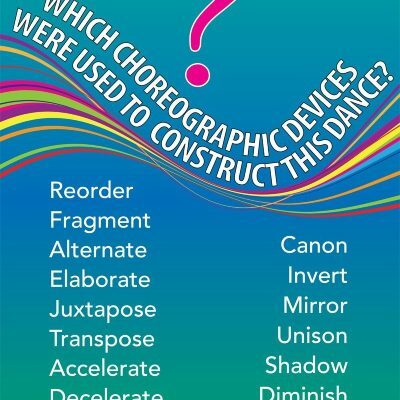 It puts a magnifying glass on a piece of choreography for upper level learners. 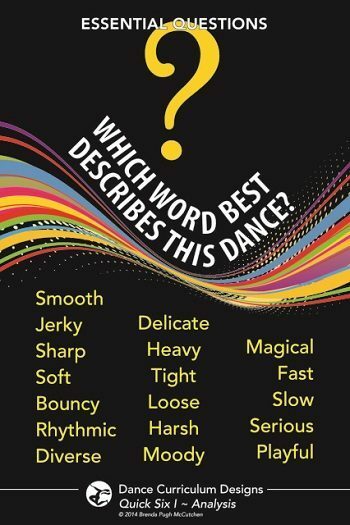 This set adds six more questions to increase inquiry into dance, to expand one’s vocabulary, and enlarge one’s understanding of choreography. 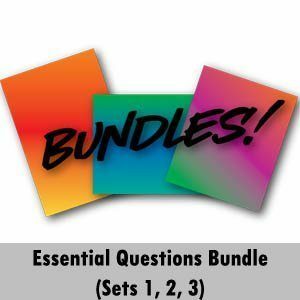 Set 3 facilitates questioning and responding beyond the basic EQs found in Sets 1 and 2 for HS, college, and adults. 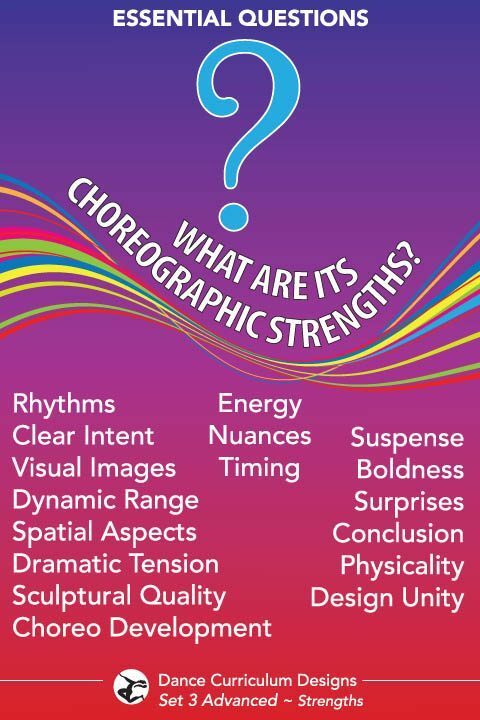 This advanced set of “essential questions” posters focuses on the finer aspects that make a dance work. 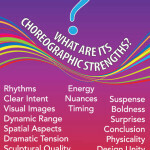 It puts a magnifying glass on a piece of choreography to enable viewers to decode it in ways that reveal its complexity. 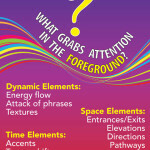 Ideal for high school, higher education, professionals, and adult learners. 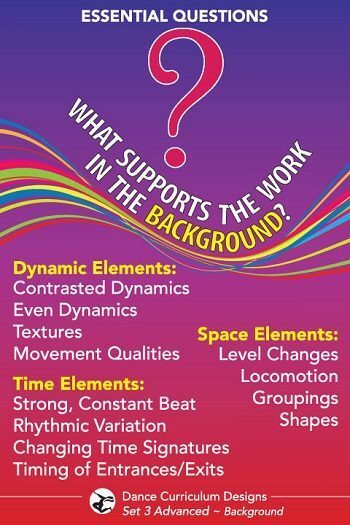 Six 13″ x 19″ posters are printed on sturdy semi-gloss card stock. 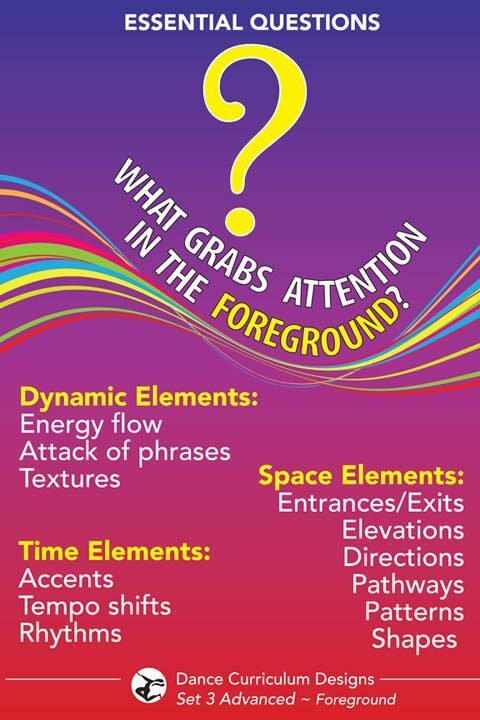 They add questions to EQ Sets 1 and 2 that take the conversation further for HS, upper MS, college and adults.